This picture was shot two years back, before the construction of a small bridge across the backwater lake, adjacent to Muttukadu Bridge, to bear pipe’s carrying drinking water from the Seawater Desalination Plant in Nemmeli, to support water scarcity in Chennai. 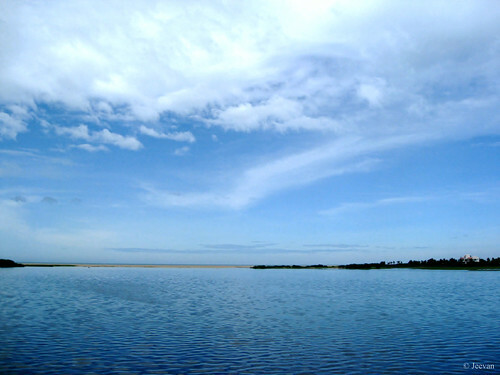 I have crossed the Muttukadu Lake number of times but ever got a picturesque moment or scene like this where the lake shares the sky blue. I lightly touched the contrast to just highlight the blue tone and I was totally impressive with the outcome in image and alive as well then. I indeed disappointed with the look right now and after the construction of bridge, the sight was almost interrupted and water wasn't clean due to unclear soil and sand that block the inflow of sea. Muttukadu is a famous tourist spot and boatyard on the ECR (east coast road) toward Kovalam or Mamallapuram. P.S. Btw. Goodbye to Google Reader… going to miss the wonderful and easiest tool that assist me following blogs, from the beginning. First time I shifted the blogs (to bloglovin) and there are many alternates but I don’t think anything could be comfort like reader. 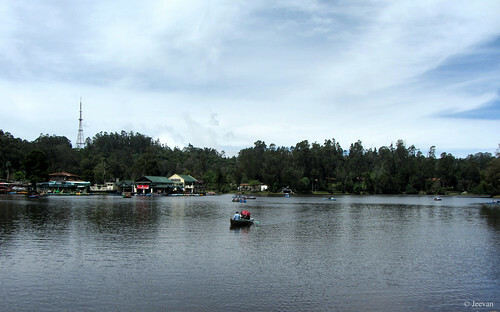 Called as poor man’s Ooty (perhaps, because it’s a less expensive hill station), Yercaud has number of places to visit and among the many Annamalaiyar temple is quite away from tourist sight, even it was mentioned on the board of places of interest in Yercaud it doesn't drag anyone. 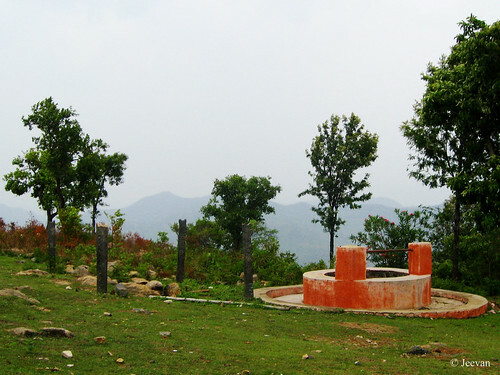 No, the place isn't less attractive anyway and moreover it was my most favorite place in Yercaud. May be lack of directions could be a reason people could not visit the place and moreover road to this temple was narrow and steep. The temple has nothing to do with this viewpoint but only adding an ingredient to its quiet, calm and scenic location with awesome views on the Shevaroys or Servarayan Hills. At the top of 1400 m, you get a panoramic view on the series of mountains from here and the wind was embracing to cool since it was drizzling during our visit. 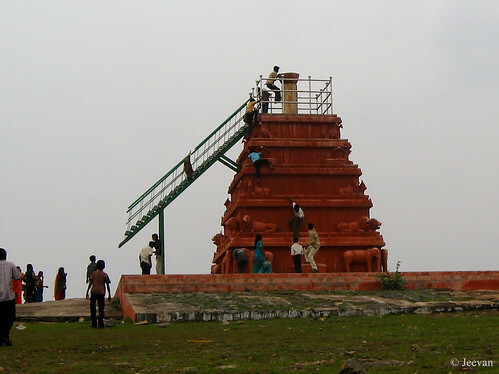 One of the prime attraction of this site apart enchanting weather and nature was, a temple (tower) like structure built on a slightly grass mound for lighting lamp capture our attention, just being brightly painted in red. 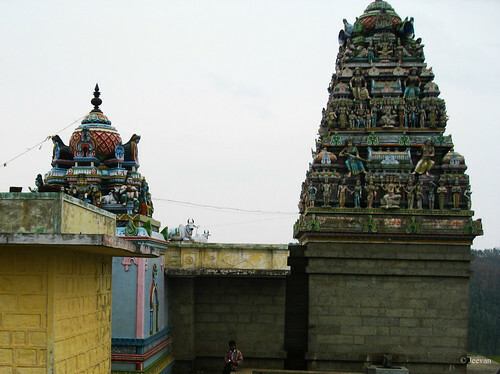 Named as Annamalaiyar Temple, for anyone it would remind Thiruvannamalai but it has no connection with the popular Siva temple out there which is renowned for the grand festival - Karthigai Deepam. Anyhow, perhaps, it seems to shares a custom of lighting lamp on the full moon day, similar to Thiruvannamalai Deepam that lit on the Annamalai Hill. Being a summer vacation, the children from the nearby villages were playing around the temple and some even take advantage of climbing the pyramid like lamp tower. Visitor info: Annamalaiyar Temple is about 8km from Yercaud Lake, in the village of Thalaisolai. 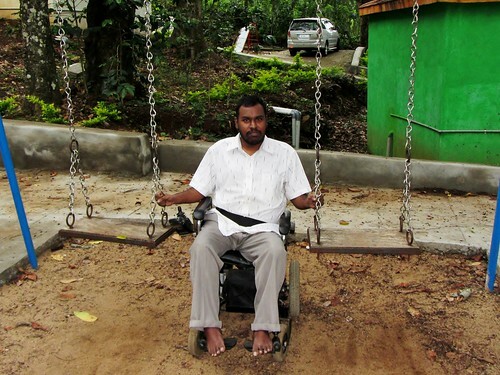 "செல்லாக்காசை பிச்சை போட்டு என்ன பயன்?" Non-Tamil readers, check the translation below… but I inquire myself does it convey quite. shattered by a single word. it drought like Cauvery (river). plainly depends on mental vigor. 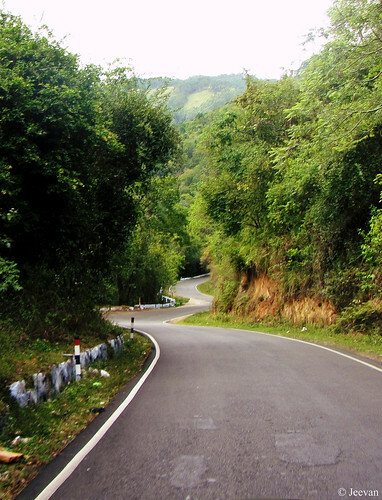 This is a part of winding road that connects Kodaikanal (a popular hill station in India) and I shot this one while riding up the hills. This is my second attempt on this particular part of winding ghat that last for long distance and short in curves. The beauty in these curves fascinates me quite and the environment of green and neat lane is another delight. One mid-summer day in May we visited my dad’s best friend house in Red Hills (no, it isn't really a hill but a place on the outskirt of Chennai), and despite scorching afternoon heat, we had a cool ride in our a/c car along with cousins whose first day visit to our home due to vacation. We took the Chennai bypass road to reach red hills though Porur link road and it was first time for me to take this road after it built some years ago. My dad’s friend built a new home there few years back, but I only got to visit them now and he was very happy about my visit ahead his daughter’s marriage. We spent an hour and some at their home until dawn fall and it was fabulous sight to see sun rays falling beneath the clouds. They stay very close and right opposite road to the red hill lake - which is one main drinking water resource of Chennai. During my early visit while they rented there, I checked the red hill lake and got amazing view on sunset. But this time due to heat and lack of time I couldn't repeat it, rather we had some other interesting to check with their house and surrounding. 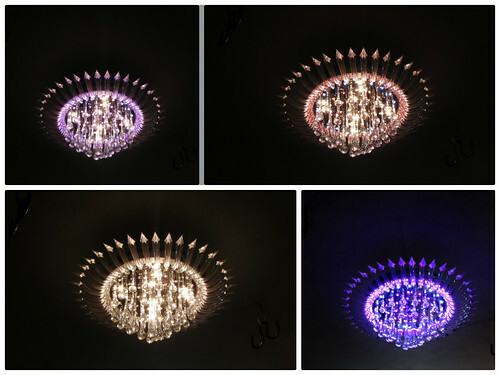 They installed a color changing ceiling lamp on their living room and it attracts every one with different hues while changing with remote. The collage above will explain the rest, how wonderful and delightful the exchange of colors. The house opposite to theirs hold number of Turkeys and they were set freely to wander and climb on wherever they could. 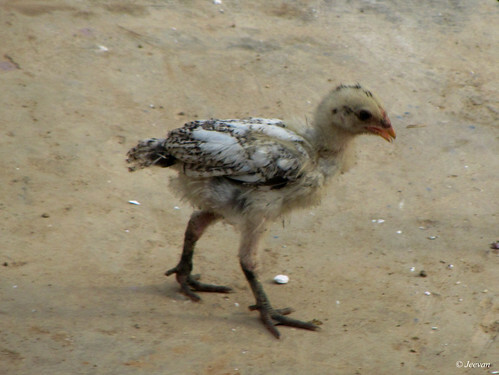 One was standing on a bike and others on compound wall; it was cute to see chicks following the mother turkeys. 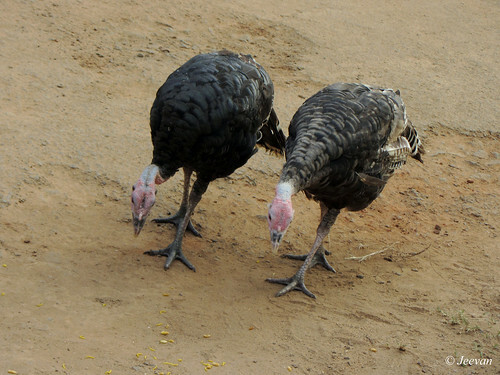 Interestingly there were this two turkeys doing similar action side by side while feeding on ground, leave at surprise. 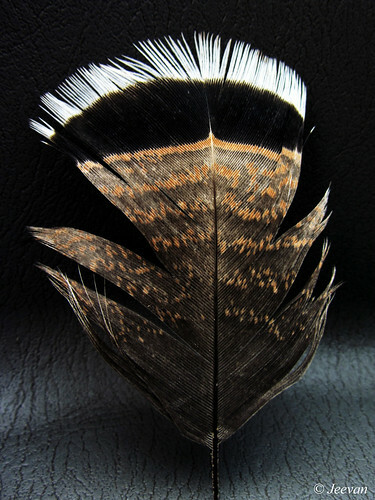 I also brought home one of their feathers wonderfully formed in combo of black, white, grey and brown. I used to hear from my uncle early about this house, having number of dogs turning the entire area into horror, glad their desire turned towards turkeys which are quiet and colorful. I hope you all liked the photos here. A square has four sides and two squares? Yes, I completed eight years in blogging. I don’t feel too special about it but anyhow it is special and this journey had played a vital part in my life and track changing my chase. No doubt, I feel wonderful about blogging and I was never passionate about anything unlike blogging and it’s a real booster of my life. I’m also in other social networks like Facebook and Flickr but blogging deserves much attention and I feel quite sharing only here. Blogging is nothing but a device to communicate in detail and bloggers are the wireless (but full of life) receivers and philosophers who teach us many lessons and by sharing we create a friendly and trust in words environment. I never doubt my bloggers because I am true to them and believe they are. I need to say blogging isn't much fun unlike before but I am improved a lot with serious interest and also longing for those cheerful days filled with laughter and teasing each other. My blog isn't a planned one and actually I don’t know what blogging itself when began to write blog post eight year back. But I was looking for a website myself and accidentally caught into the weblog where many others were trapped and enjoying an overseas relationship with bloggers, and some turn into close friendship. I am still touch with some former bloggers who are friends now in Facebook and only few continue to blog occasionally, the enthusiasm doesn't get down even the way blogging leads disappoint, I feel more comfort writing now. Thank you all for your constant support and inspiring posts. Hope you keep extend your support and if not sharing (through comments) blogging is nothing. Life is filled with many simple joys to enjoy. There are events and special occasions to celebrate once in a while. But the simple joys we experience every day in life are a constant pleasure that keep us going. We no need to spend much. They are shattered all over our life, from wake up to asleep and even watching moon at midnight is simple joy. Waking up early and watching the sunrise (even it was occasionally like me who check while only began to travel at early morning) there is something magic in the moisture air and bearing tender sunbeam at dawn causes great energy throughout the day. 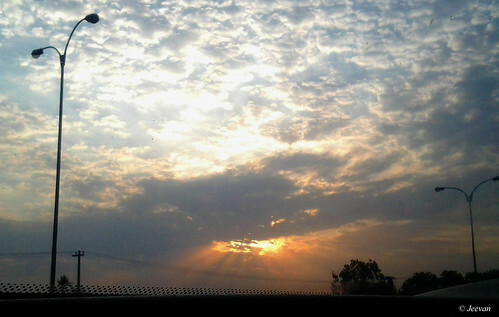 If sunrise enriches energy, the sunset is quite pleasure and simple joy watching the different hues on sky. Sunrise and sunset are everyday task simply never get bored even they are similar with familiar sky. There is something that never lost zeal how much time drink as beverage. Sipping coffee is an energy booster always and there is something eternal in its flavor that desire to drink often. I am not addict to coffee and it isn't a matter if I haven’t drink coffee for days but the desire will always rest inside and never want to miss a chance of sipping. Expose to cool breeze is sometime caress the innermost and inspire a lot. I really want to say wind is my inspiration and it bears immense joy carrying numerous fragrance and sound of birds. It changes from time to time and landscape to mountains, but I enjoy the simple cool breeze however it blows. Bird watching is another simple joy and yet filled with surprise each time reveal to a new species of bird in neighborhood and travel to Western Ghats inspired me a lot looking for birds. Memories are a wonderful thing cherish forever, sitting solely on couch or swinging, we experience a joy, a world that could only be alive at past. I love afternoon silence and there couldn't be a best time recalling our sweet memories and it is a moment I feel quite inspired. Visiting beach is true joy, watching the restless waves kissing soft sand and essence of peanut or bajji flow in air against pretty women diverting the attention. Music is a consoling fact and listening to melody or a good peppy number is simply joy. Looking at beautiful flowers and flow of stream, fragrance of earth and droplets of rain, gazing through windows and inhaling fresh air and tasting ice cream and warmth in cold are simple joys overlap by dreams. Imagination is a boon especially for those immobile we live a normal life and become super heroes in our dreams. We achieve many things from our comfort seat and if not dreams and imagination we miss a great joy. 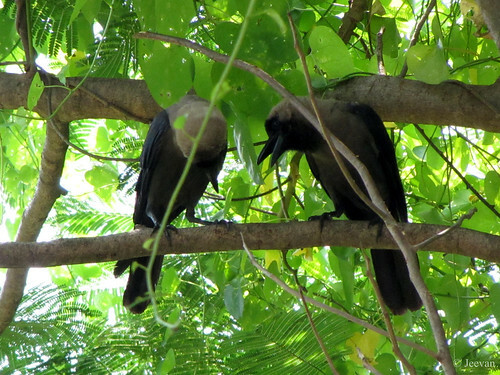 I shot this in October while two crows perched together and looked alike discussing something… it was the time when crows adopted Koel chicks those hatched in their nest and was feeding them to grow. You can check for more details on it here. 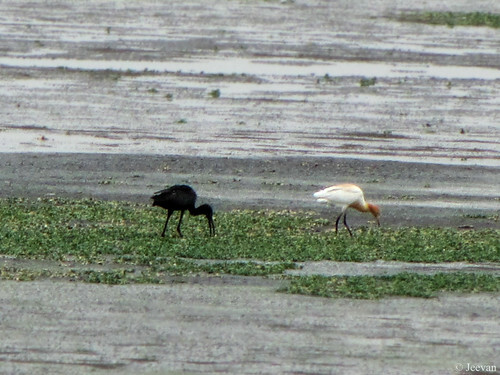 I guess this is the first time flamingos visiting Chennai’s water body or for me to get know first. 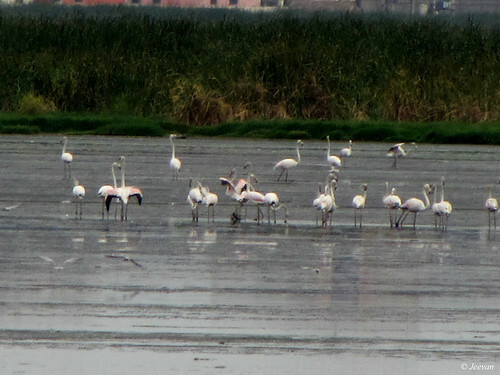 But once I come to see the pictures of flamingos standing on Pallikaranai Marsh in Flickr (last month), I was quite surprised and couldn't wait checking the wetland other day to see them alive. I have seen a flamingo during my boat ride on Pulicat Lake but it was just a glance and it fly past quickly across the sky. 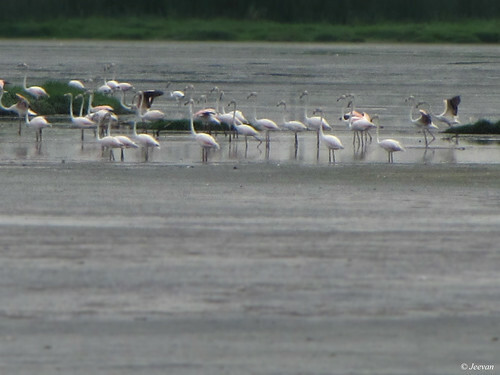 Flamingos migrate usual to Pulicat Lake on the border of Tamil Nadu-Andhra Pradesh and PointCalimere in Nagapattinam District, that too only during winter seasons. 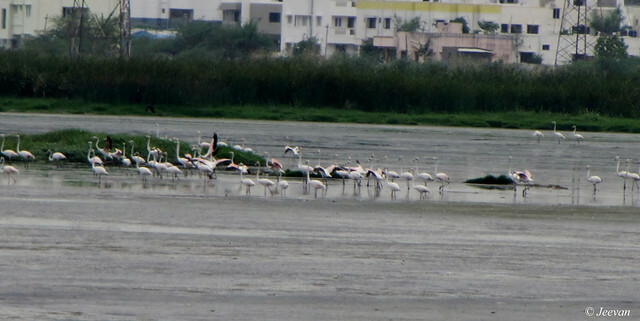 But it was amazing to see flamingos brushing their nose in large numbers, amid extreme summer heat of Chennai! Thought man itself finding tough to complete the summer phase, I wonder how they manage the summer heat. 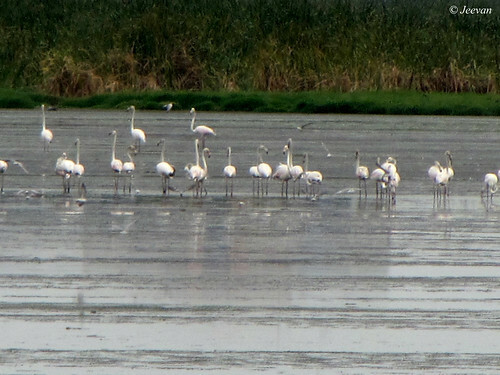 The pictures here are captured by my cousin who accompanied me during the Pallikaranai marsh visit and we drive past the Solinganallur-Pallavaram stretch checking a flock of flamingos standing amid the freshwater swamp. The birds where almost white in color with pale pink feathers on wings, to tall grasses and emerging buildings background. I really missed the opportunity to check them closer through binocular which I forget to bring along with me, but I got content images through my Canon Powershot and also view at closer. 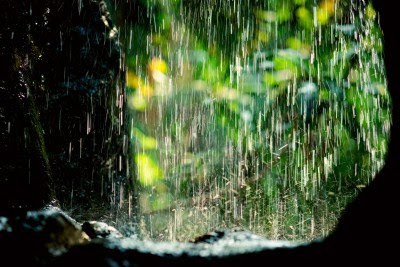 The first rain is always special and the scent of soil stimulates a sense of joy. A rain amid summer (heat) is too special, whether it last for a minute or an hour the enthusiasm has nothing equal. I experienced the first rain of summer last week, and it was wonderful to see rain fall from all directions in this newly shifted house. The earth was at rapid sucking the water as quick possible to distribute to every species on earth. No doubt water is a source of energy to withstand on earth but sadly we aren't blessed with enough rain and the millimeters hardly touch the average. Half a month past I posted here and I was indeed out of touch with blogging and the scorching summer heat put down every things inspiring to write and cousins visiting and vacation time and traveling kept me quite away from online activity. My first rain of this summer was actually when I was close to Western Ghats before climbing to our destination on Kodaikanal Hills. The rain was visible far away falling amid the valleys and while passing the ghats we find it wandering fabulously on plains like wide tornado. It was wonderful experiencing rain or monsoon on mountain sides and bearing cool breeze blow down the hills. It was a family vacation come exploring places and traveling on roads untraveled and staying in an environment so pleasant and surrounded by uniquely chirping birds and coffee estates and blanket of foliage and tall trees. I don’t had a mind leaving the place but other plans waited ahead took me to Kodaikanal and unlike ever it was very cold and evenings are windy and raining because of the arrival of monsoon, we are forced to cancel our plan of extending. But once on plains, things are quite strange and sun baked us on fire. The obvious reason to be cold and hot is nothing, the weather always wonder with it’s distinguish feature. Post vacation I experienced swelling feet and lately aching knee become soar and seem to intense only and also slightly unbalance at stood. We still find some inconvenient which I believe will become normal very soon with the new house and we also experience extreme summer heat here and the wind blows hot air even after the core summer season ends. Glad it rains sometime in evening as a relief for day’s fry pan!